Join us in supporting the food banks from Port Angeles and Sequim by making purchases or donating food or cash directly during our “Community First Saturday” event on Saturday December 1st, 2018. 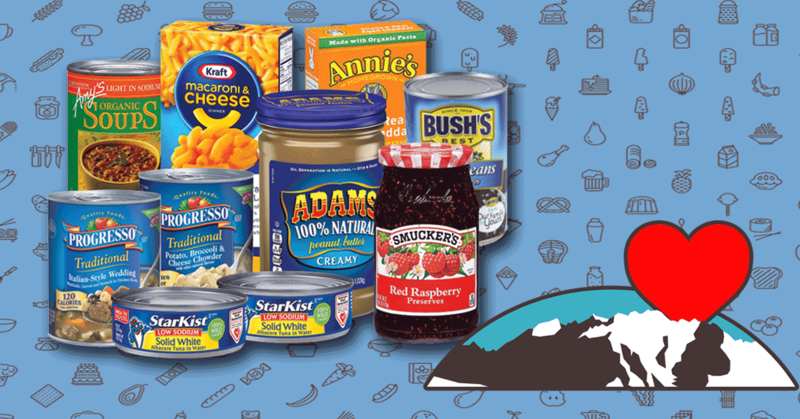 Food bank representatives will be present at both stores sharing with our customers about the impact they have and the essential work they’re doing to help feed our neighbors in need. 5% of all retail sales collected that Saturday and 100% of donations taken in the store from now until the 1st of December will be given to these essential organizations. Funds raised at the stores will be used to purchase non-perishable foods and to provide assistance to people and community organizations that insure that no one goes hungry within our communities. 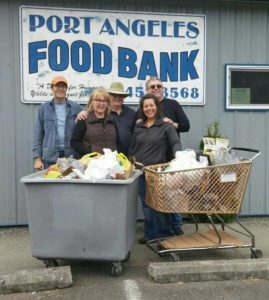 We chose the food banks in Port Angeles and Sequim as Community First Saturday recipients because we believe our support is a necessity to those that have a desperate need for healthy foods. Many residents of the Olympic Peninsula are currently living below the poverty line. 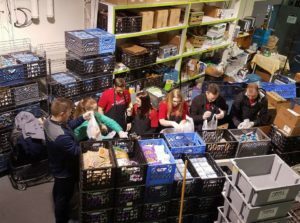 It is our responsibility as an employee owned business that we offer the support to organizations like the food banks so that our community members in need can thrive without having to worry about where their next meal will come from. Not only will we be encouraging our customers to shop with us on Saturday, December 1st, we’re encouraging specific food donations to help in filling needed areas within each food bank’s inventory. Next time you’re at the grocery store we encourage you to help with our food drive and purchase one or more of the listed food below. Food can be brought in to either of our stores and donated into the wheelbarrow at the front of the stores. 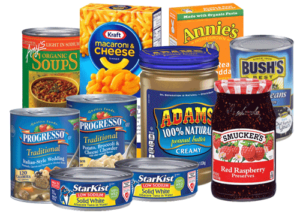 The local food banks encourage the donation of foods that are low in sodium and sugar so they can be of the greatest nutritional value to their clients. 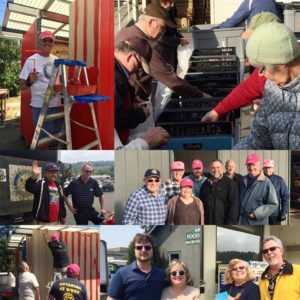 The food banks of Port Angeles and Sequim not only rely heavily on donations, but are also in need of reliable volunteers to fully realize their missions within Clallam County. They encourage financial donations but also extend the call for qualified persons to assist by becoming volunteers. Mark it down on your calendar, set a reminder on your phone and head on down to Angeles Millwork or Hartnagel Building Supply, Saturday December 1st, and shop with a purpose. Community non-profits help to keep our communities whole, profitable and productive. But it can’t be done without everyone’s help. Want to know more about the food banks in Port Angeles and Sequim? 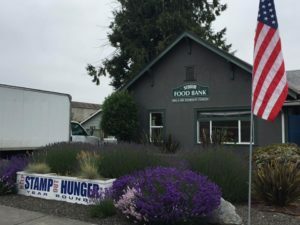 Learn more about the Sequim Food Bank by going to their website by clicking HERE.